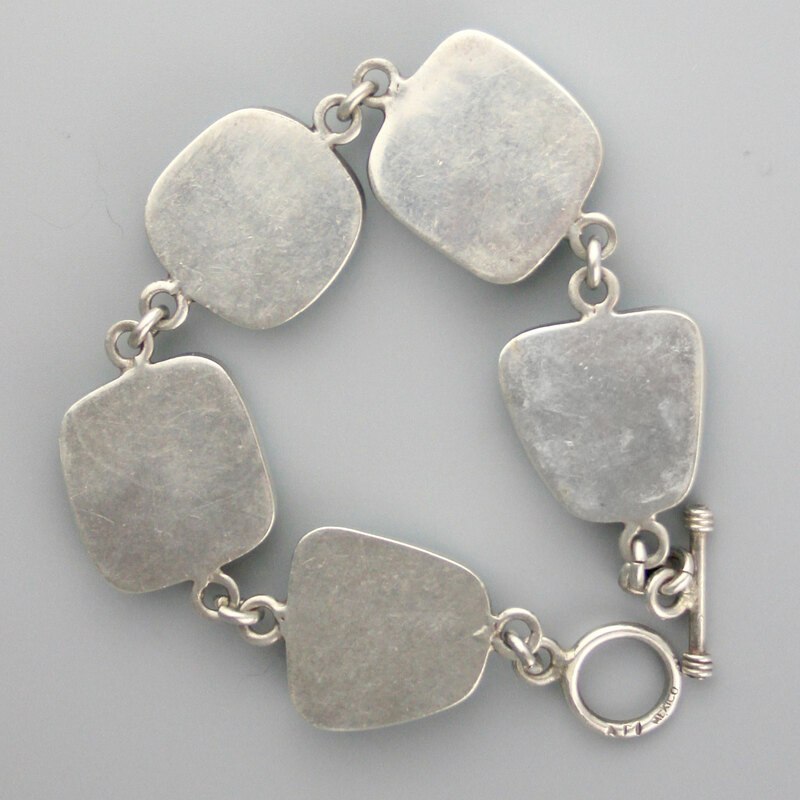 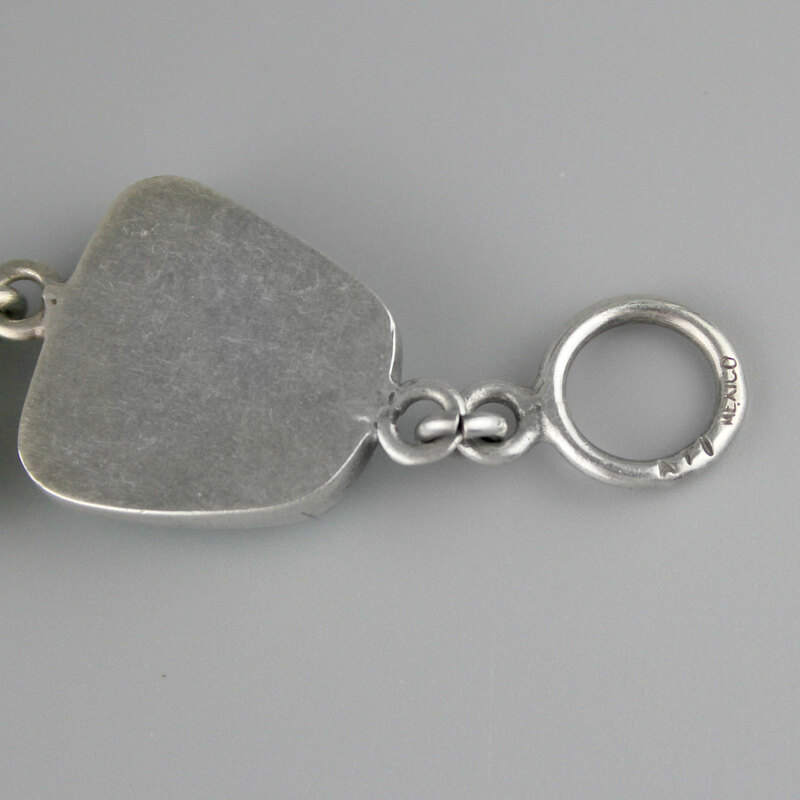 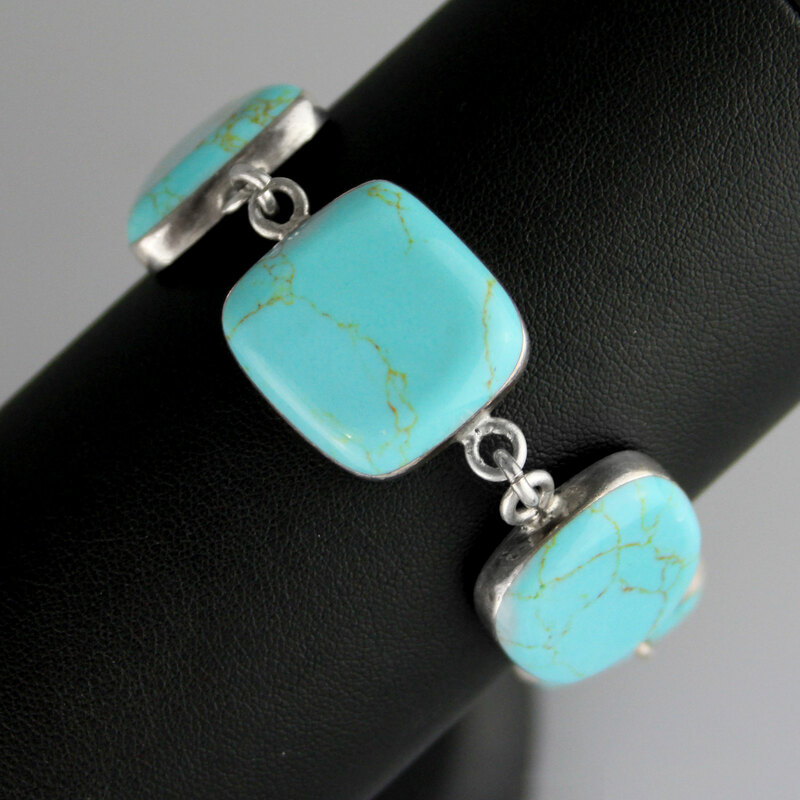 Beautiful rich turquoise with pale chocolate matrix vintage sterling silver bracelet. 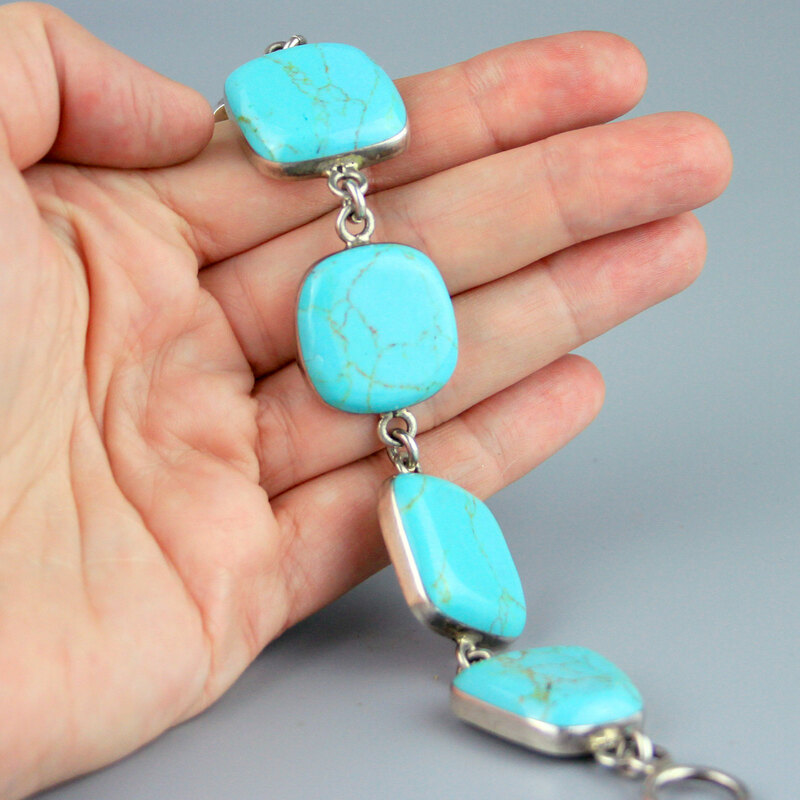 Handmade in Mexico, circa 1980's -90's, five large links of smooth polished turquoise set in a smooth bezel with a toggle clasp. 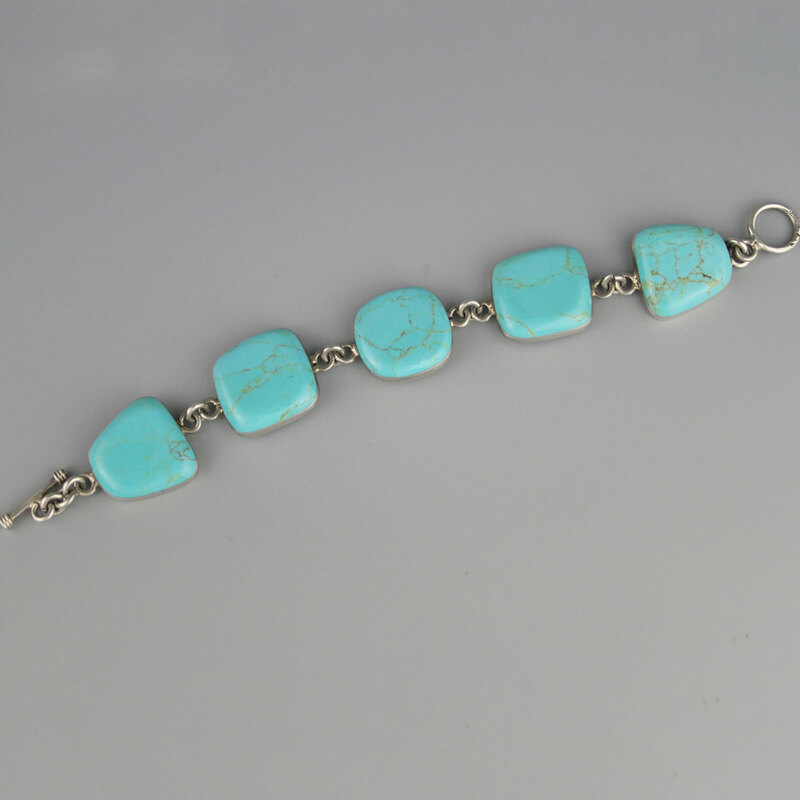 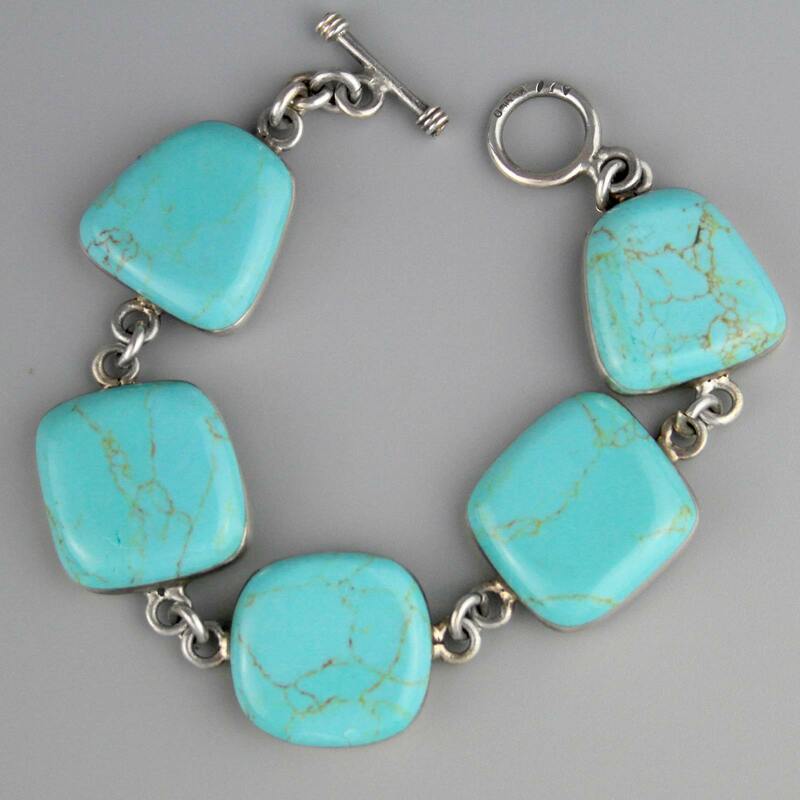 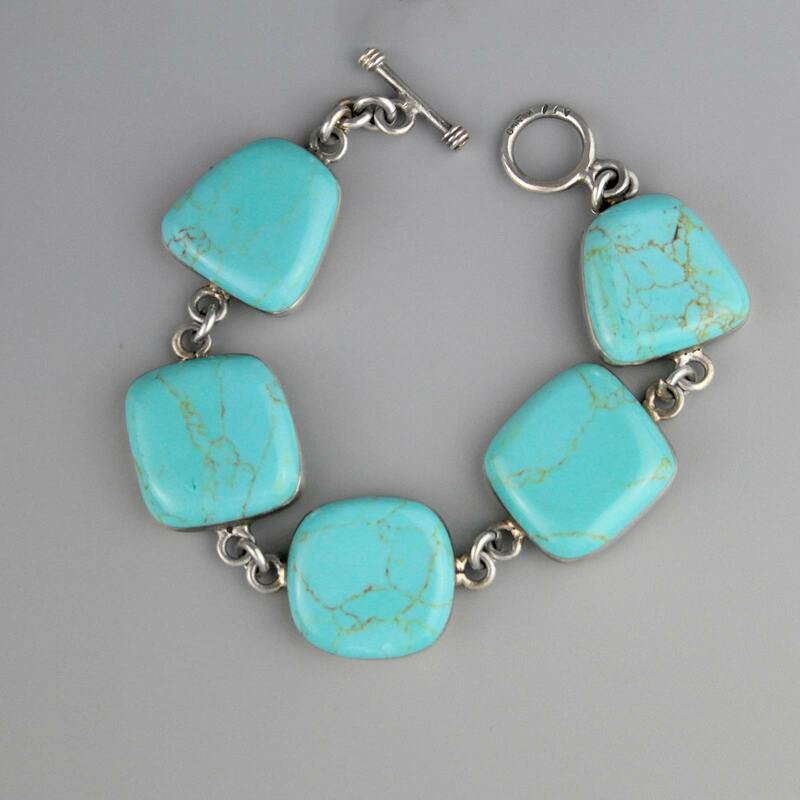 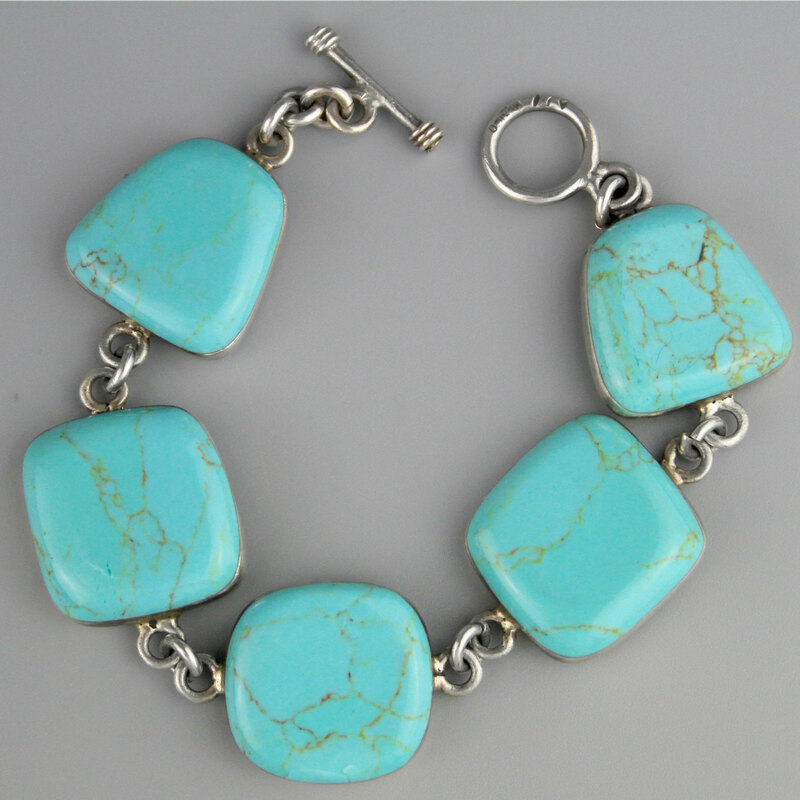 Lovely large turquoise bracelet.